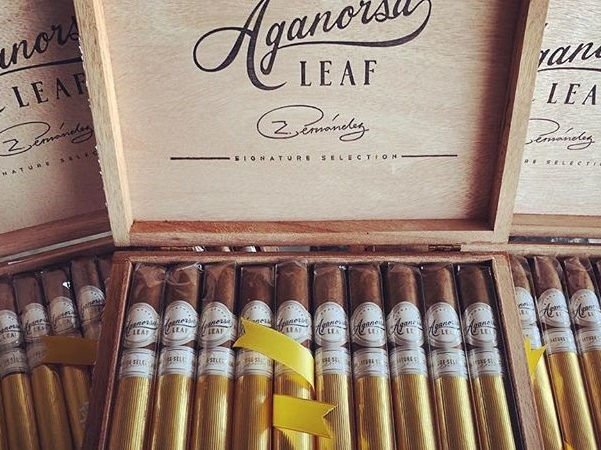 Eduardo and Max Fernández are the father-and-son team behind Aganorsa Leaf. 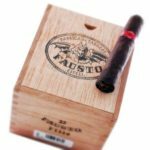 This signature cigar features a small amount of medio tiempo, the rare tobacco leaf prized by growers for its rich flavor. Aganorsa Leaf Signature Selection is a Nicaraguan puro made with a rosado-claro Corojo ’99 wrapper that covers the Corojo ’99 binder and a filler mix of Criollo ’98 and Corojo ’99 tobaccos. 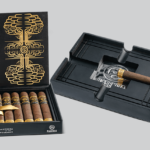 The filler also boasts a half leaf of rare medio tiempo, which are small tobacco leaves that occasionally sprout atop some (but not all) tobacco plants above the corona priming. Medio tiempo is prized for its rich flavor and strength. All of the tobaccos in Signature Selection were grown in Estelí and Jalapa by the Fernández’s vast Nicaraguan tobacco-growing conglomerate, Agricola Ganadera Norteña S.A., better known as Aganorsa. The Belicoso sports a rounded, blunted belicoso-shaped head also known as a Conde 109 while the Corona Gorda is topped with a fantail cap. Enter code FREESHIPD to get *free shippping on any box of Kuba Kuba cigars! We will add 4 free Acid Cigars to your order! The most aromatic blend in the entire line of ACID Cigars. When this cigar was first introduced, customers would need to stand in line because the demand far exceeded the supply. A wonderful tasting cigar that will go up against the most expensive cigars produced in the world. Wrapper: Sumatra. Twenty minutes of sweet, followed by a robust climatic finish. Passionate notes of honey & cream place Blondie on the nation’s “Most Wanted” list.